As someone who began the "Avengers" journey with "Iron Man" ten years ago, Robert Downey Jr says it is gratifying to see actors like Brie Larson, the newest addition to the team as Captain Marvel, shatter the glass ceiling. 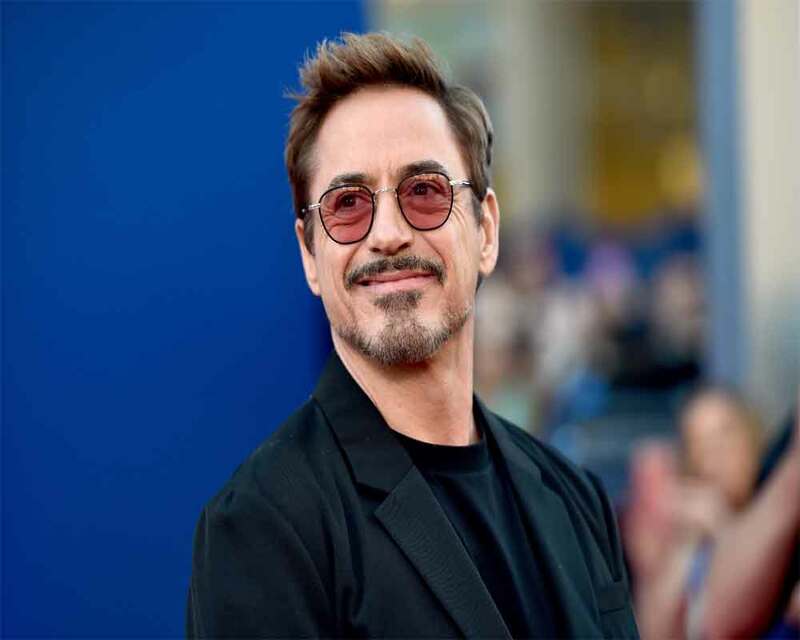 Downey Jr was certainly the star attraction as he struck his trademark Iron Man pose during the Asia press conference for "Avengers: Endgame" with co-stars Jeremy Renner, Larson and directors Anthony and Joe Russo on Monday. "I'm honestly looking at, seeing all of you, and I know some of you hold this cinematic universe close to your heart and it has this symbolism stuff and it has really come to that way for us too," he said when asked about his future plans for the coming 10 years. The 54-year-old star said trying to establish himself through Tony Stark to witnessing Larson's introduction as Carol Danvers has been a fulfilling experience. "Now, I honestly just feel like I get to be a part of witnessing this cultural moment that's coming up and I'm filled with a lot of gratitude. Just to be (here) next door to the centre stage, to the lady of the hour here (Larson), who's broken through this double-pane glass window and kind of re-established what this genre is supposed to be, is just very gratifying," he added. After his emotional response, the actor, known for his self-deprecating humour, quipped, "I sound so sincere. I'll stick around anyway." Captain Marvel, the first female superhero to have her own stand-alone, has been billed as the most powerful among the Marvel superheroes in the current lot. Fans are anticipating she will play a crucial role as the remaining Avengers team up to fight supervillain Thanos after he wiped off half of the universe's population. Larson said it was good to not know what happens in "Endgame", which she shot prior to "Captain Marvel", as she would never end up accidentally giving out spoilers. Joking about the film's lengthy runtime of over three hours, the director duo advised fans to avoid drinking before the start as they would miss the crucial moments if they opt for a bathroom break. Russo brothers have been tight-lipped about their plans to return to the MCU after "Endgame" but they said the film is their best work till date. "We had an incredible experience working with Marvel. It has been the best of our careers. There is nothing set in stone or I can tell you specifically but we would absolutely love to work with them again," Joe said. The filmmakers are, however, coming back to their indie roots with a film about a war veteran, featuring "Spider-Man" star Tom Holland. Titled "Cherry", the film is reportedly based on an autobiographical novel of the same name by Nico Walker. "We are moving into our next movie with Tom Holland. It is a smaller movie about a war veteran who comes home from Iraq with PTSD and develops a heroin addiction. "So, it's a bit heavier material but we are having this opioid epidemic…. We just thought it was an important issue to attack," he added.